The day was upon us. 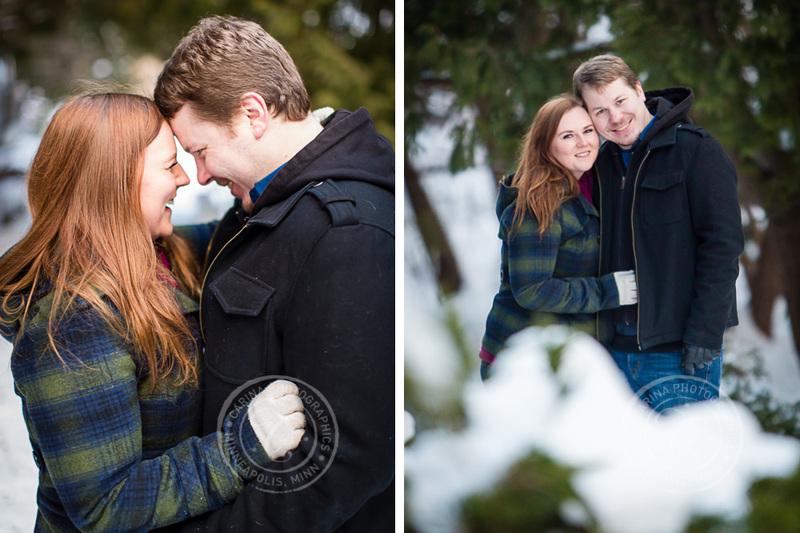 We could *finally* go through with Robin + Paul’s winter Minnesota Landscape Arboretum engagement session after continually delaying it for almost a month. Why the delays? 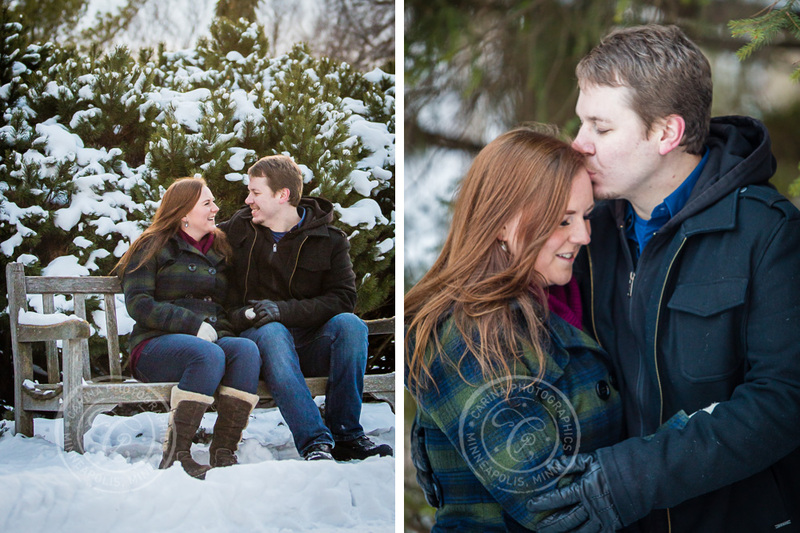 Because even though we live in the mega-snowy state of Minnesota, we had NO snow! Zip. Zilch. Not a flake! 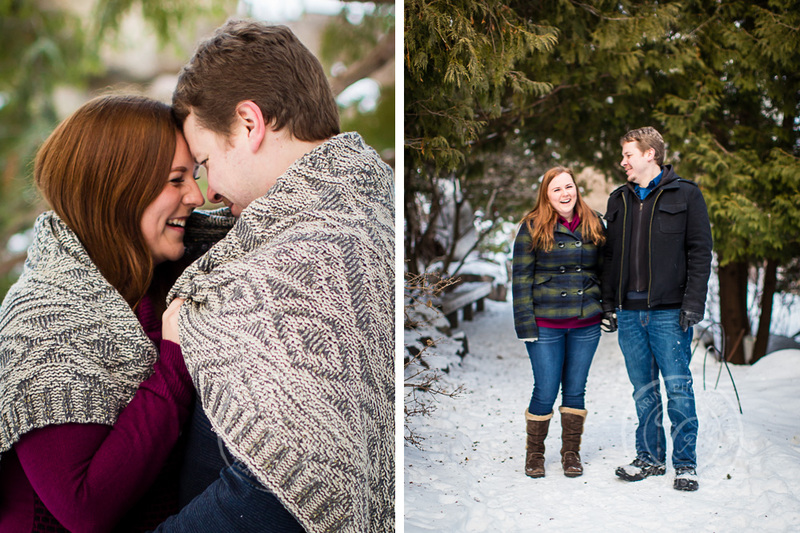 We were hoping to get some beautiful snowy engagement photos at the ever-amazing MN Landscape Arboretum. 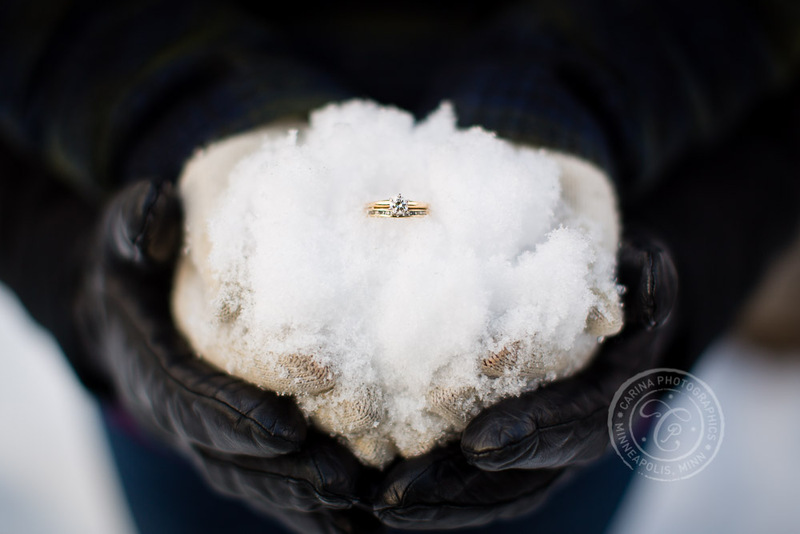 So when we finally had a couple of snow days (I believe it was only a mere 4-5 inches or so) we jumped at the chance! 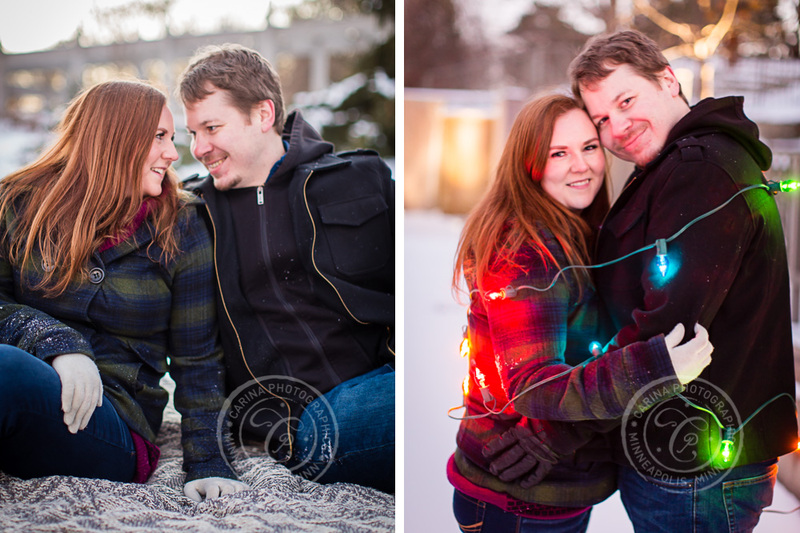 Robin + Paul were so much fun to work with. 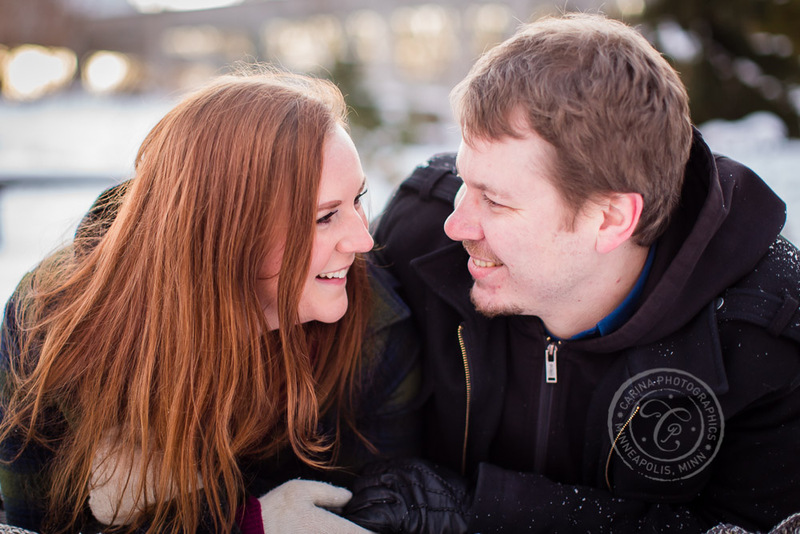 From Paul’s cute one-liners and jokes, to Robin’s infectious laughter, we had such an awesome time together! They brought in some great props and some of their own fun ideas to the mix as well. We ended up spending almost two hours together! 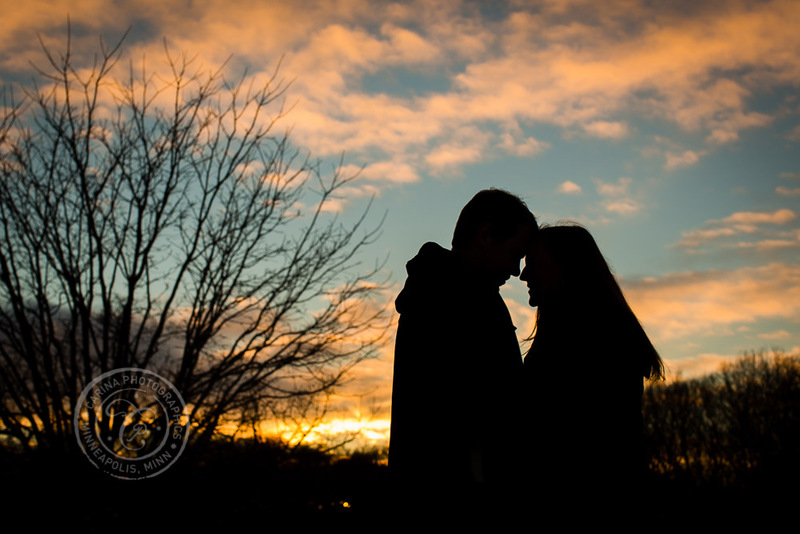 The two ways we knew our session was coming to an end: first, the sun was setting (treating us to an awesome sunset) so we were losing light fast; and second, we all started to notice that, as the sun was going down, we were getting reeeeealllly cold. 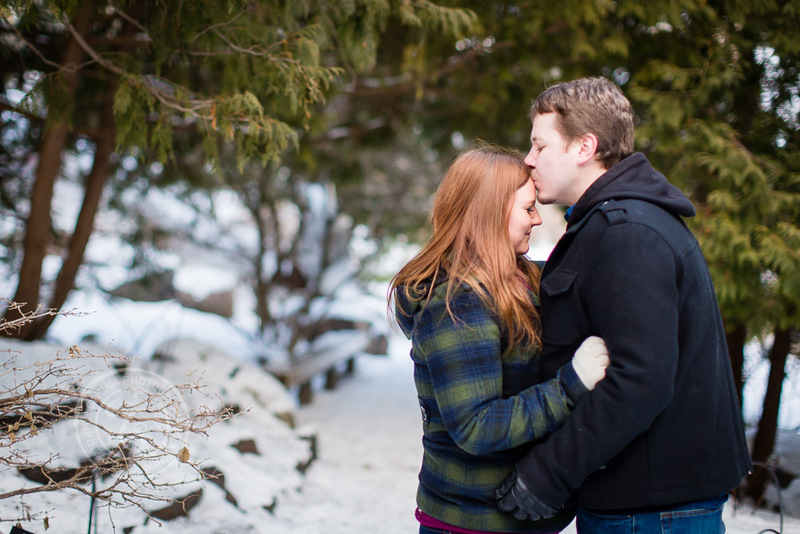 Robin + Paul, thank you so much for working with me as your Minneapolis engagement photographer! 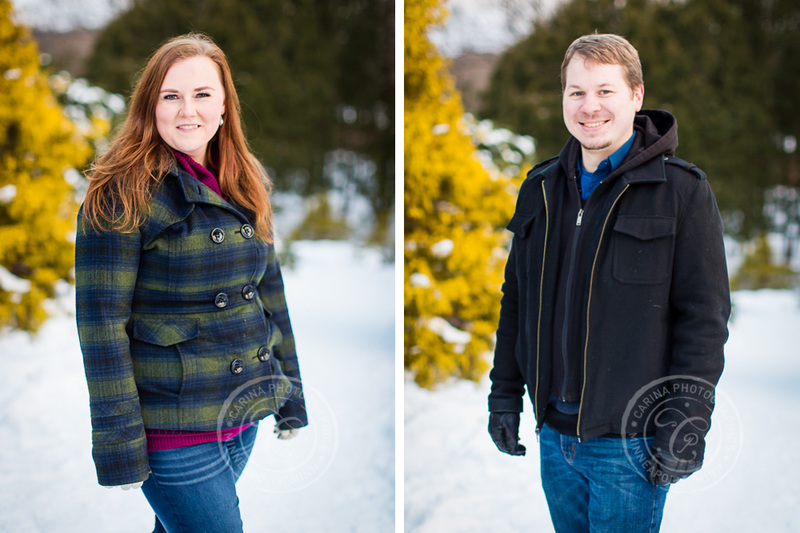 The Arboretum under a fresh snowfall was such a beautiful backdrop. 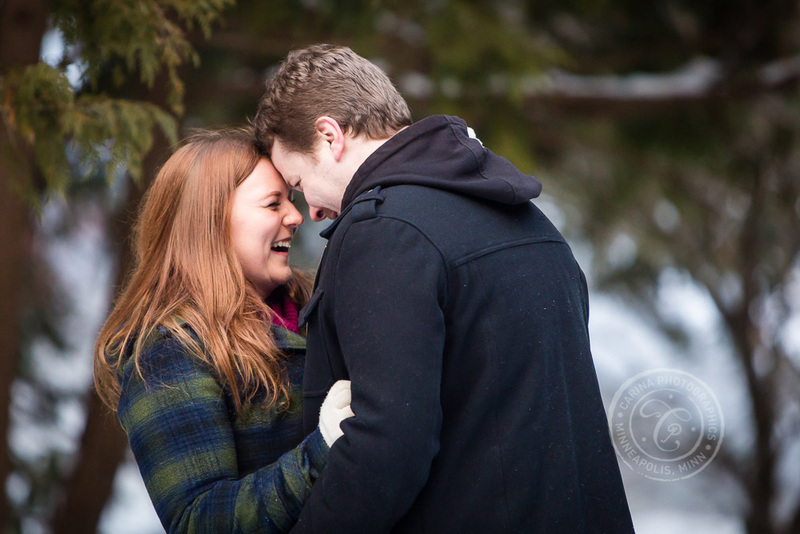 And of course, you guys are SO adorable together. 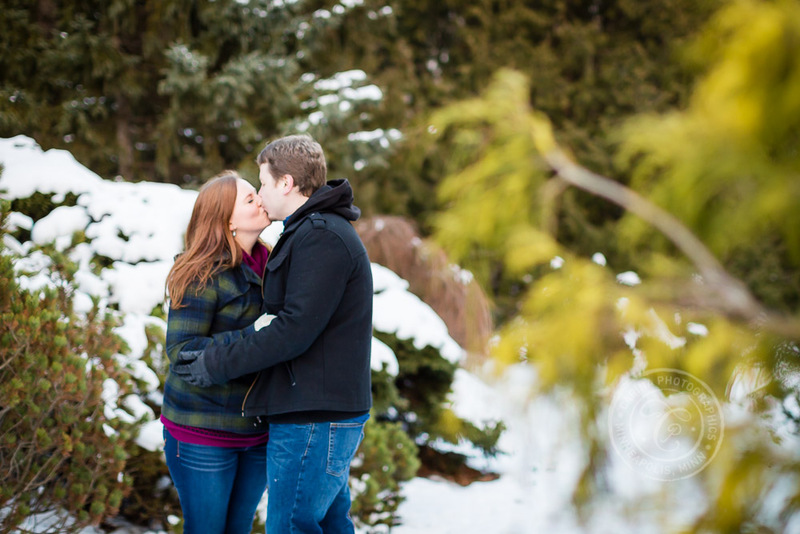 I am so excited to be working with you, and can’t wait for your big day later this summer! 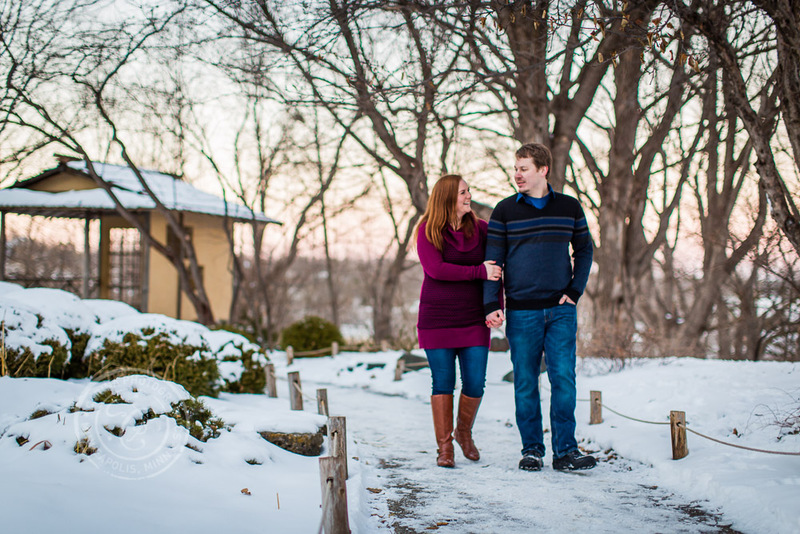 If you’re planning for a Minnesota Landscape Arboretum engagement session, contact me soon to find out how we could work together! 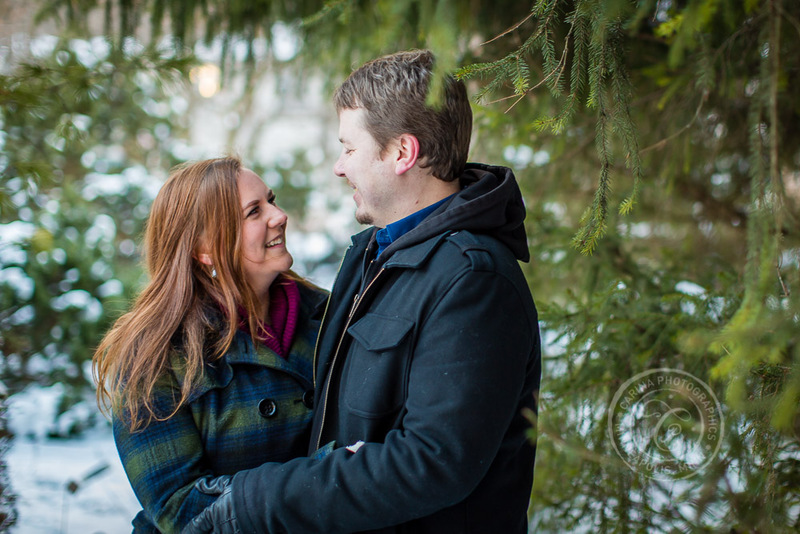 ETA: Take a look at Robin + Paul’s gorgeous summer Minnesota Landscape Arboretum wedding photos too!